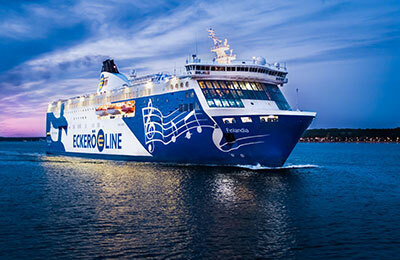 Book Ferries to Finland and Estonia with Eckerö Line - Helsinki and Tallinn! Eckerö Line operates ferry services between Estonia and Finland. As well as comparing prices and times for Eckerö Line, we'll also show you results for alternative operators, such as Tallink Silja and Viking Line to help you get the whole picture. The only Eckerö Line crossing is Helsinki (Finland) to Tallinn (Estonia) with 3 crossings daily. Departures are available from Helsinki at 9:00am, 3.15pm and 9:40pm and from Tallinn at 6.00am, 12.00 and 18.30pm. You can use AFerry to book Eckerö Line Ferries to and from Helsinki and Tallinn. For all Eckerö Line Ferries routes and to see the latest prices and sailing times see below. Click on your ferry route for a detailed Eckerö Line Ferries timetable with arrival and departure times. Eckerö Line offers connections Helsinki to Tallinn / Tallinn to Helsinki with 3 daily crossings of about 2 hours and 15 minutes. The MS Finlandia is one of the largest passenger ferries sailing the Baltic Sea, carrying 2,080 passengers. MS Finlandia is the only passenger ferry on Helsinki-Tallinn route offering live entertainment on all day-time departures. Business Lounge available - with drinks, snacks, sandwiches, fruits and drinks (coffee, tea, soft drinks, beer and wine) and very fast WIFI in private lounge. 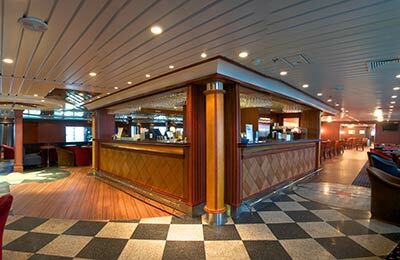 Book meal in Eckerö Buffet in advance and get a discount (on board prices are higher). MS Finlandia offers full Finnish buffet in Eckerö Buffet, tasty sandwiches, salads and hot meals in Café/Bistro and several bars with drinks and snacks, during summer time also outdoors! For more privacy on board, book a private and comfortable cabin with window to enjoy the seaviews of the Baltic Sea! The company caters for both passenger and freight traffic between the two countries. Whether you travel on board an Eckerö Line Helsinki Tallinn ferry or if you use the Eckerö Line Tallinn Helsinki route, you are bound to have a great ferry crossing with Eckerö Line Ferries. Book your Eckerö Line Ferries crossing with AFerry. Worth paying extra to get a seat in lounge and the snacks and drinks were perfectly acceptable. Staff on board very friendly. Well worth doing the trip to Tallinn if you are in Helsinki for a few days. Also very easy to get to harbour using tram. 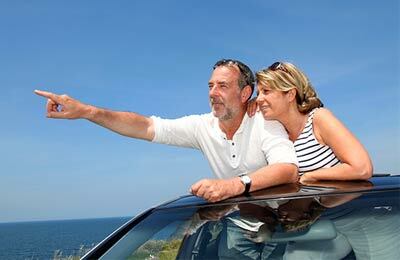 Aferry website very easy to use and all went without a hitch. I thought my trip would be just as simple as I was in an ordinary boat. But this was like a cruiser! Amazing!